Pioneers in the industry, we offer pressure vessel, chemical vessels, mixing vessels, jacketed vessels, fermenter vessels and reactor vessels from India. We are the leading Manufacturers,Traders and suppliers of various types of Chemical Vessels. We are the leading Manufacturers,Traders and Suppliers of Chemical Mixing Vessels. We are offering Jacketed Vessels. We provide the wide range of Fermenter Vessels depending types of process requirements. 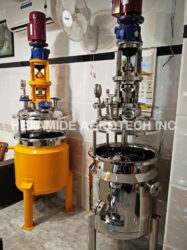 We design and provide equipment at lowest price ranges with highest efficiency and yield, extractors ranges capacities from 100ltrs to 1500ltrs in stainless steel. Suitable to perform chemical reactions at different temperatures, these Reactor Vessels are widely used in food processing, chemical and other industries. Our esteemed clients can easily purchase these vessels from us at industry leading rates with several capacities. Owing to their sturdiness, leakage proof design with high durability, these vessels are highly cherished in the market. 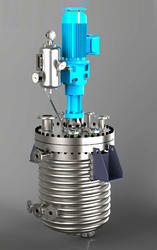 Manufactured using quality-approved raw materials, these Reactor Vessels are examined on certain parameters of quality. 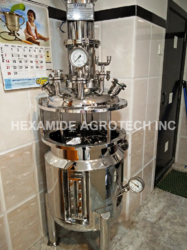 Bioreactors are very used in many of the biotechnology processes, we have different types of bioreactors everyone with their own advantages . A bioreactor is a vessel, which is used to carry out one or more biochemical reactions to convert raw materials to products through the action of biocatalyst, enzyme microorganisms, cells of animals or plants. The raw material could be an organic compound as sugar or an inorganic chemical as CO2. 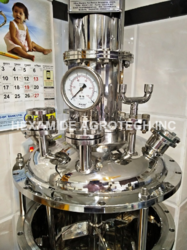 We are the leading and prominent Manufacturer and Exporter of Pressure Reaction Vessel. We are leading manufacturer & supplier of Stainless Steel Pressure Vessels. These stainless steel pressure vessels are manufactured using premium grade stainless steel and are presented at the best rates in the industry. 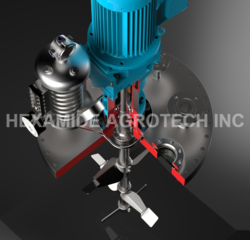 We are the leading Manufacturers,Traders and Suppliers of various types of Agitated Vessels. 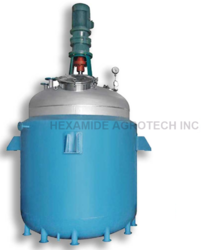 We are manufacture and exporter of Chemical Agitators Vessels. 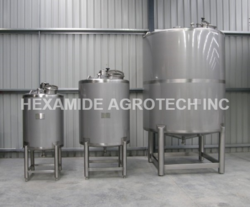 Stainless Steel Reaction Vessel can be customized as per the specifications provided by our clients. 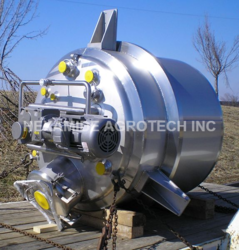 We offer stainless steel reactor Vessel of international standard and at the very competent price. Reaction Vessels are fabricated from premium grade stainless steel that assures non-corrosion performance. Reaction Vessels are manufactured in a range of different capacities they are immensely popular due to safety features integrated. We are the leading Manufacturers,Traders and Suppliers of various types of Reaction Vessels. We are the leading Manufacturers,Traders and Suppliers of Chemical Reaction Vessel. We are offering Receiver Vessels.